Congratulations to Kevin Tyler, the co-recipient of the Employee Appreciation Award for the fall 2013 semester. In 2006, Kevin joined Widener Law as a Campus Safety officer and quickly became an excellent employee and asset to his supervisors. 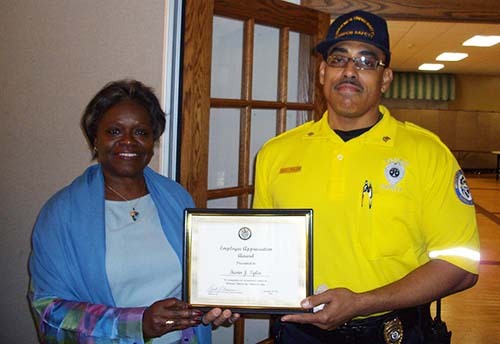 Kevin continually performs all of his duties with a high degree of commitment to service. Picture: Dean Linda Ammons presents the Employee Appreciation Award to Kevin Tyler.